When you obtain your learner's permit you will receive a copy of The Driving Companion. The Driving Companion contains the log book to record your compulsory driving hours. Every time you drive you must record the details of your journey in the log book pages. There are 10 forms to record your day time driving and 2 forms for your night time driving. Please complete the forms as shown in the sample provided. The log book must be completed accurately and honestly and penalties do apply for fraudulent information. If you have evidence you've held an interstate learner's permit your Qualified Supervising Driver may include that previous driving experience in your log book. You may also use an electronic learner log book app to record your driving hours instead of recording them manually in your Driving Companion. The app must offer a print out with the same information as the paper version. Make sure your log book is completed accurately and honestly. Penalties apply for fraudulent information. If additional forms are required you can photocopy a blank form, or download one below. Print extra Daytime (PDF, 34 KB) log book pages. Print extra Night-time (PDF, 30 KB) log book pages. If you lose your Driving Companion you will have to pay $5 for a replacement at a Service SA customer service centre. 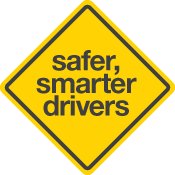 Your qualified supervising driver(s) will then have to re-enter all your previous recorded driving experience and re-sign it.